May I present the Washington Star from Carol Doak’s “50 Fabulous Paper Piecing Stars“. 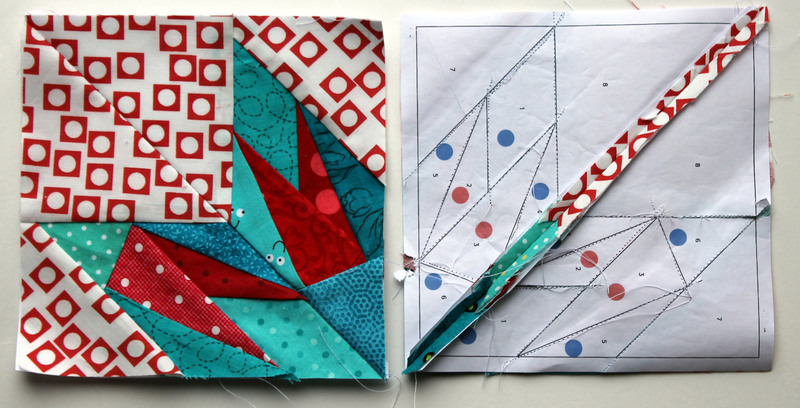 I went with scraps again – I have so many little bits and pieces I feel obliged to use what I can. The scraps combined with the background fabric (from Aneela Hooey’s “Sherbert Pips”) has made for a very busy but modern block. I think this is a paper pattern you could really play with to get very different blocks depending on your fabric/colour placement. 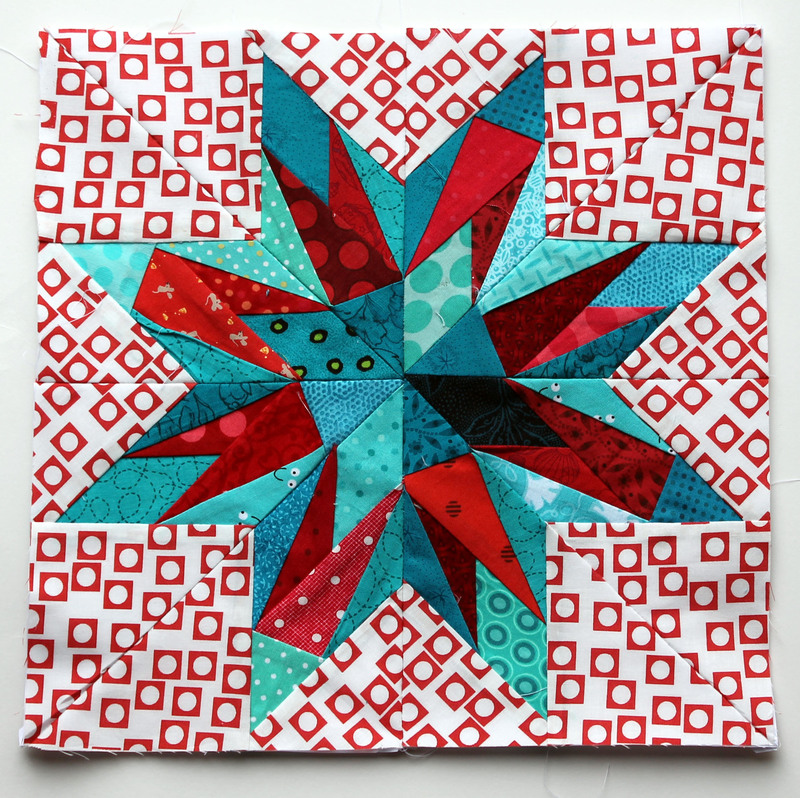 The actual block segments were an easy piece – just 64 fabric bits make up this complete block. I am now heading back to the sewing machine. I have 5 different projects in various stages spread out around our living room. I have to do some sewing and then some cleaning before the husband gets home. Does anyone else have little bits of thread scattered all over the house?